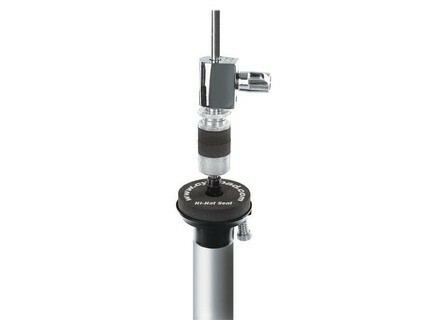 Hi-Hat Washer System, Other Drum/Percussion Hardware from Cympad. Cympad's new Hi-Hat Washer System is designed to enhance the sound of Hi-Hat cymbals while improving the performance of most standard, auxiliary, and remote Hi-Hat stands and holders. The "Optimizer" Hi-Hat Washer Set includes a pair of 22 mm washers for the Hi-Hat clutch as well as a 50 mm washer for the bottom Hi-Hat cymbal seat. This combination is designed to replace conventional felt and plastic washers, providing a higher level of quality and consistency along with natural shock absorption and a fuller cymbal sound, according to the company. Available at drumshops and music stores, Cympad's Hi-Hat washer set carries a suggested retail price of just $10.95. Tama Birch Superstar Drum Set For 2010 TAMA upgraded its line of Superstar drums with a 100% birch shell.